A consumer’s credit score directly influences their opportunities to be approved for loans or establish revolving credit accounts. It is also important to consider that credit scores have a profound impact on interest rates in terms of what a bank or lender might offer a consumer. They are a foundational aspect of how credit works. A consumer having a low credit score could be denied credit or be considered high risk, meaning if you are approved for credit, you will experience considerably higher interest rates than a person having an outstanding credit score. During the term of any loan, the amounting fees from interest can cost many thousands of dollars. A person who currently has a good or outstanding credit score must do their best to properly maintain their score. It is also very important for a consumer having a poor or fair credit score resulting from past misuse of credit to attempt to rectify the poor credit score as soon as possible. There are many processes in which a person can rebuild their credit score, potentially enabling them to get better interest rates on revolving credit and loans. Most certainly, it seems common sense for a consumer to pay their debts in a timely manner, but it is often overlooked. Undoubtedly, late payments are commonly the source of serious drops in reported credit scores. 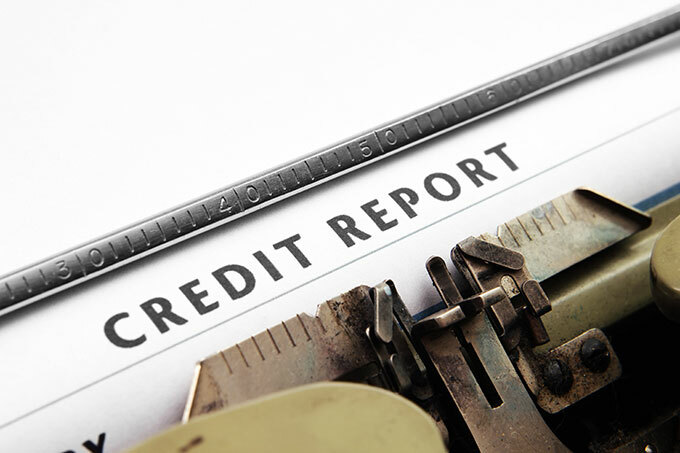 Late payments are the most frequently occurring negative information on credit reports. Merely making the minimum payment before the due date every month without exception will help to rebuild and maintain the consumer’s credit score. Without a doubt, any kind of a late payment can be incredibly detrimental to one’s credit score. Simply skipping or accidentally missing a mortgage payment can extensively damage a consumers credit score, taking up to seven years for the impact of the late payment to lessen. Even more damaging to a consumer’s credit score than late payments, would be having an account that is in arrears be sent to a collections agency. If an account has been sent to a collections agency, the creditor has gone without receiving minimum monthly payments many consecutive months. After an account has been sent to a collection agency, damage to the consumer’s credit report is unavoidable, regardless of whether the account ever gets rectified. Often, once an account is sent to a collections account, even if the balance is paid, the negative mark stays on the consumer’s account for at least seven years. Another thing to keep in mind is inquiries will be made on a consumer’s credit report any time the consumer makes an application for revolving credit or any type of loan. When these inquiries are made, they are typically through TransUnion, Equifax or Experian credit reporting agencies. Once an inquiry has been recorded to a credit report, it typically stays on the report for no less than two calendar years. Most often, those inquiries being a year old or less, affect the credit score slightly in a negative way. Too many inquiries over a very limited time span can significantly impact one’s credit score. In the event of seeking out the best car loans or mortgages, it is inevitable to have multiple inquiries on one’s credit report. However, in this case, multiple inquiries, as long as they are for the same reason and within a timeframe of 40 to 45 days will not adversely affect a consumer’s credit rating. Typically, several inquiries of this type in this situation are only counted as one single inquiry. It is essential, if one is to maintain a good credit score or improve a poor credit score, to keep inquiries to an absolute minimum. Strange as it may seem, just the fact that a consumer has credit cards affects their credit score. Also, it is important to consider how the payment history on those cards can affect one’s credit score. Not to be left out, the balances on these credit cards are also calculated into one’s score. When the available credit on a card drops below 65%, the consumer’s credit score could be damaged as this reflects a high balance to credit limit ratio. Regardless of payments are made on time or if more than the minimum payment has be paid, having a high balance to credit limit ratio adversely affects one’s score. Essentially, a credit card with a high limit of $2000 should not carry an average daily balance exceeding $700. By keeping the used credit limit below 35%, debt to income ratios stay within a good range. It is also imperative to make each payment on time, and it is always a good idea to pay more than the required minimum payment. Another good rule of thumb is to actively pay down high balances while using credit cards in a responsible and proper manner. Taking one’s life situations in to account, it may be a good idea to disperse your credit card balances over several cards, keeping the available credit at 65% or above on each card, rather than pushing one card’s balance to the credit limit. If the consumer opts to do this, it is essential that payments be made in a timely manner, and all accounts remain listed as having a positive status. Doing this will not only maintain one’s credit score, it could also potentially improve it. The idea of spreading credit card balances over many different cards could potentially help a consumer’s credit score. It is important to consider, however, that the interest being paid toward the balances be accounted for. It may be beneficial to the consumer to consolidate current balances to one card with a low interest rate, rather than split up the total amount owed over many cards having higher interest rates. It is essential to take these interest rates into consideration if one is to make the best decisions toward improving credit history and credit scores. Another point of consideration in determining a consumers credit score is how long the revolving account has been open. A positive credit score is a reflection of a good, positive standing with every creditor the consumer deals with, regardless of the account activity. 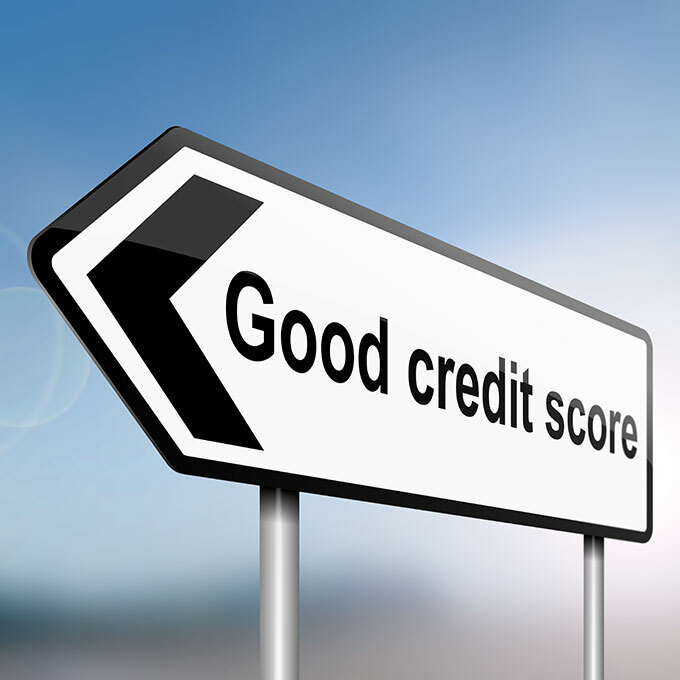 Simply put, the longer a positive credit history is maintained, the greater the positive influence on the score. In essence, it is a good idea to keep old accounts that are no longer in use open. If a consumer has credit that is not currenty in use, rather than terminating the account these cards should be put away and the consumer should refrain from using them. Having several open accounts but only using a few can be a positive factor in raising a credit score, but too many cards overall can have an adverse affect. Hackers steal online account information from hundreds of millions of people every single year. If your information becomes compromised in a hack, ensure you respond quickly to protect your credit. Access to credit is an important feature of individual financial health. The ability to borrow money helps fund major purchases and facilitates short-term cash flow management. And since loans and other forms of financing are offered based upon an applicant's financial history, maintaining a positive credit profile is essential. Before extending financing, banks, credit unions, mortgage companies, and other lenders look at each applicant's track record paying off debts and managing credit responsibilities. Their risk is tied to borrowers' past performance managing money, so lenders are most comfortable offering financing to those with solid credit histories. And major lenders aren't the only ones using credit information to qualify customers. Mobile phone contracts, residential leases and other binding documents also require financial references, which are used to confirm eligibility and establish credit terms for housing, communication, and other important needs. With so much at stake, building and maintaining credit references are priorities for consumers at every stage of their financial lives. Consumer relationships frequently involve credit interactions, in one form or another. Loans, credit card accounts, mortgages, and various service contracts are all built on credit principles that make deals work. Creditors extend funding and consumers repay them on a timely basis. In its simplest form, that's all there is to it, but in practice, the credit and lending industries are complex and the implications for consumers are literally life-altering. What are the advantages of a strong credit rating? Access to credit builds on itself, reinforcing both positive and negative outcomes for consumers. For those able to successfully manage credit relationships, doors open enabling further credit privileges. Consumers plagued by delinquency and default, on the other hand, face roadblocks difficult to overcome. Building credit is critical for making the most of your financial resources. For example, here is a table of current local mortgage rates for conforming mortgages. People with a poor credit score may be charged a significantly higher interest rate, or see their loan applications get denied. People who have drastically improved their credit scores may qualify to refinance existing loans at a lower rate. With the above in mind, here is a look at how your credit profile can impact the cost and availability of a broad array of products and services. Home Ownership – Not only is ownership a closely held personal goal for many consumers, but the opportunity also makes financial sense. Building equity and seeing a home's value appreciate create positive momentum for investors able to leave the ranks of tenancy. The value of homes, however, makes cash purchases unlikely for most buyers, so major financing is required to close real estate transactions. Your ability to secure mortgage funding for a home purchase is tightly tied to your credit history. In fact, the mortgage industry expects you to maintain a particular score just to be considered for a loan. Even with substantial down payments and established employment, home-seekers with credit problems are summarily dismissed for needed financing. Auto Loans – With the exception of real estate, cars and trucks are among the most expensive purchases most consumers make. And though paying cash is an option, the sticker prices of new and late model cars can be prohibitive for cash buyers. Car loans serve consumers without the means to pay up-front. Whether issued by a dealer or a stand-alone financing company, a consistent credit history is the key to eligibility. Car loans represent a significant credit-building opportunity, because they are relatively easy to secure and structured for affordable payback. And since dealers want to close sales, car loans also have very low interest rates. Leasing a car does not eliminate the need for good credit – most lease contracts are subject to financial review similar to car loan credit checks. Credit Terms and Preference – Eligibility is the first step toward financing, but the best rates and terms are reserved for applicants with outstanding credit references. Building and maintaining solid credit opens doors for lender preference, including low interest rates, flexible repayment terms and higher credit limits. Well-qualified car-buyers, for example, might reserve a zero-percent interest rate, while less established borrowers pay 2-3 percentage points. Insurance Rates – Responsible money management illustrates consistency and commitment, so credit checks are used by insurance companies to screen applicants. Past problems can lead to higher rates for accepted applicants, and credit information can be used to deny eligibility. Business Opportunities – Entrepreneurs and self-starters promote unique employment agendas, which often require creative financing. Though small business accounts for a substantial share of the overall economy, it can be difficult for startups to find funding. A negative credit rating may be the only thing standing between you and your dream venture, so preserving and protecting hard-earned credit references keeps your options open for self-inspired employment. Building credit creates access to loans, mortgages, revolving accounts and other needed funding. Each success builds upon itself, so responsible debt management opens doors for larger loans, enabling established borrowers to obtain hundreds of thousands of dollars for home mortgages and other major purchases. The process starts with small financial steps, ultimately gaining momentum for those on the right track. Consumers without credit references or those with damaged credit, on the other hand, may have difficulty moving their financial lives forward. A solid credit record doesn't appear overnight. It is the result of a lifetime of dedication, with each financial interaction setting the stage for the next. As a result, it is never too early to begin establishing a positive history. Young people, new to credit-building, have limited options for getting started. It is important to make each opportunity count. Though you may not think of your cellular service as a financial vehicle, the contract is actually a good reference for building credit. For starters, the account identifies you and establishes an address of residence. Even if it is your parents' home, creating a residential history is a positive credit-building step, giving creditors an address to attach to your financial history. Checking accounts represent credit-building opportunities for young people, because it is relatively easy to qualify for basic accounts. They are powerful instruments, however, and should be handled deftly. On one hand, each check and deposit are credit entries account holders can use to build additional credit opportunities. Overdrafts and other mismanagement, on the other hand, have devastating impacts on young people's emerging credit rankings. Savings accounts can be used for overdraft protection, to avoid insufficient funds. But maintaining reserve savings also supports a well-rounded financial approach that helps build credit. Energy bills work in concert with established residency, painting a payment history for credit bureaus to evaluate. Like other creditors, local service providers report deficiencies, so it is essential to remain timely with utilities payments. Over time, consistent payment builds a steady record of responsible financial behavior. A proactive approach is the best way to build credit, so it pays to use every available resource. A unique credit-building tool offered by banks and credit unions, known as a credit-builder loan, creates repayment references for borrowers, using an unconventional arrangement. In practice, a small loan is approved, but not disbursed directly to the borrower. Instead, the money is placed in an interest bearing account and the borrowing begins repayment. After a time, the loan is satisfied and the money, along with accrued interest, is released to the borrower. The transaction is then reported to credit companies, reflecting a satisfied loan commitment. Although it isn't automatically accounted for, rent payment can be used as criteria for determining FICO scores. In some cases, signing-up with third-party payment services ensures timely payments are reported to the proper credit agencies. As consumers age and move through various life changes, their financial needs shift and new credit relationships develop. Each success limits risk and creates confidence for lenders and other creditors, raising their level of financial commitment. Once established, credit references continue to gain momentum, including these forms of credit commonly used to build and preserve an outstanding rating. 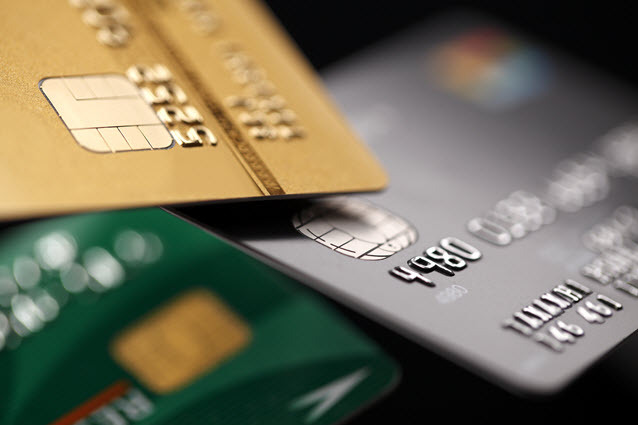 Credit Cards – Credit card accounts are based on revolving credit, wherein users have some discretion managing balances. Typically, credit holders operate within established limits, but have freedom to draw and pay down balances on their own terms. Minimum payment thresholds apply, which are set by creditors and must be met each month. Outstanding balances roll over to the next billing period, gaining interest charges as they do. Managing revolving credit requires discipline in two distinct areas. For starters, payments must be made on time, without interruption. But balances must also be maintained judiciously, to preserve balanced credit. A car loan applicant with three cards maxed-out to their limits, of course, is far less attractive to lenders than a similar applicant with one or two well-managed revolving credit accounts. For a top FICO score, credit card balances should be kept below 30% of each card's limit. Mortgages – Most consumers don't have mortgages to use as references during early credit building years. Once obtained, however, home loans become important financial tools. Unlike revolving financing seen with credit card accounts, mortgages are based on installment credit. Instead of balances moving up and down based on consumer purchases, mortgages are set in-advance, accounting for the entire payback period of each loan. That means monthly payments are relatively consistent and mortgage holders can project their outstanding balances well into the future. Home loans furnish strong financial references for a number of reasons. Repayment stretches for decades, so a steady track record is quickly established when paying back mortgages. And it takes good financial health to obtain a mortgage, so successfully managing this form of fixed credit is seen favorably by credit reporting bureaus. Student Loans – Student financing usually comes due after a grace period of six- twelve months. Though repayment structures are forgiving on government-backed student funding, failing to pay has the same consequences as other forms of default. On the other hand, timely repayment builds a positive credit record with major reporting agencies. Equity Financing – These credit alternatives are available to some home owners, secured by the value of property they own. They are essentially mortgages, but are obtained after equity has been built-up in a property. Equity loans require installment payback, while equity lines of credit furnish flexible funding, much like revolving credit cards. Although the credit industry is complex, countless deals close daily, so efficiency is built-in to the system. Rather than subjective judgements about risk and repayment, the credit process relies on empirical data and documented credit history. To make it as easy and consistent as possible for lenders, third-party credit reporting agencies apply comprehensive metrics to each individual's financial profile, assigning a number based on performance. FICO scoring is a system developed by Fair Isaac Corporation, which is applied by major credit reporting agencies, each with its own proprietary spin. The practice distills an individual's credit history into a single number, which is reported by the agencies. Each company has its own system, so scores are not identical across credit bureaus – even though the FICO analysis is used in each case. There are competing methodologies available, such as VantageScore, which also furnish credit evaluations. Each time you apply for credit, lenders evaluate eligibility using credit scores provided by three major consumer credit agencies – Equifax, Experian, and TransUnion. Scores typically range across a scale from 300-850, with the highest scores representing the lowest amount of risk for lenders. The FICO scores are weighted, accounting for things like payment history and total outstanding debt. 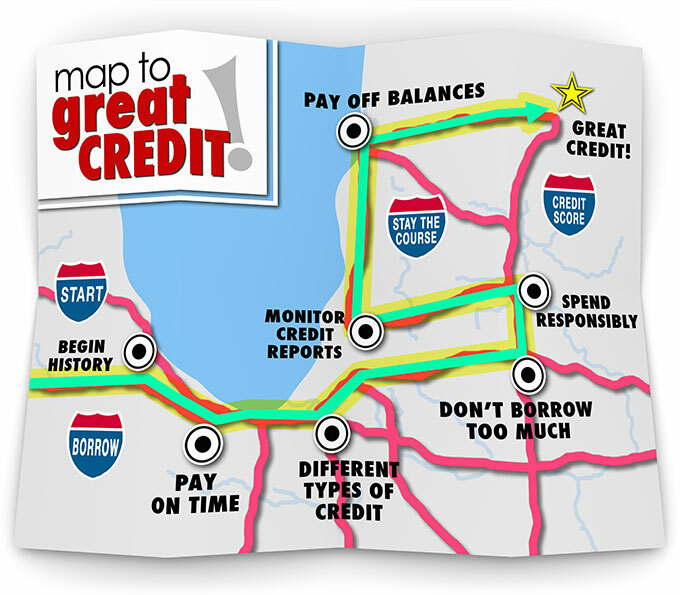 The age and types of credit are also considered, as well as recent credit inquiries. In fact, each time you apply and a credit reference is pulled, your rating suffers slightly. Building and preserving credit are the only ways to achieve high FICO scores, which in turn lead to financing opportunities. Unfortunately for those with poor credit histories, there is little opportunity to weigh extenuating circumstances. Mortgage lenders, for example, reserve their best rates and terms for home buyers in the upper tier of applicants. Though each lender establishes its own standards, credit scores above 760 are frequently required to achieve preferred status. The difference between an excellent credit score and mediocre performance can cost hundreds of dollars each month during loan repayment. And for those with very low scores, financing options quickly dry up, as lenders are unwilling to fund risky loans. Solid credit references are built over time, so establishing a strong credit rating requires long-term commitment. In order to maintain a good credit score, it is essential to pay debts on time, without fail. Whether paying utility expenses, credit cards bills, or mobile phone premiums, staying current meeting financial obligations is the best thing you can do to build good credit. Over time, responsible money management generates opportunities for various forms of financing, which adds diversity and longevity to your credit history. As you repay revolving and installment debt, reporting agencies document your success, which in turn reinforces the strength of your credit rating. Ultimately, lenders see you as a low risk investment, which translates to further financial privilege. Without an outstanding credit rating, on the other hand, access to future funding is limited. Mortgages, car loans, credit cards, and other forms of financing are unavailable or very costly to those without top credit scores. To ensure personal financial success, take a proactive approach and make the most of each credit building opportunity.